Access to online databases are available at resources.wcbc.edu or the student portal. The WCBC Library will support innovative learning by providing equitable access to relevant information for all inquiring information users, host a safe environment, maintain currency with information (both in print and online), attempt to instill a love of learning to all users, and provide resources for scholars. 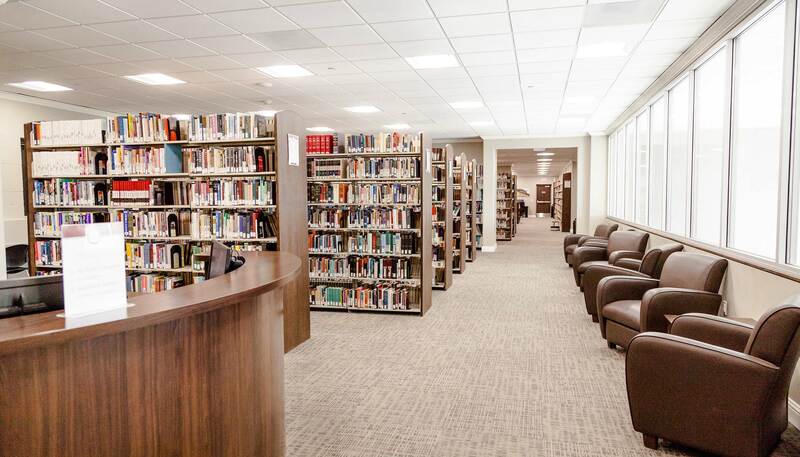 The WCBC Library resides on the second floor of the Walther Athletic Center in a 6,854 square foot layout with an estimated 80,000 titles covering a range of topics. EBSCOhost (American Theological Library Association Database; Education Database) and Galaxie Theological Journals provide access to additional periodicals, journals, and other education resources. With two study rooms, computers, printers, quiet zones, wireless internet, comfortable seating, and a photocopier, the library provides an excellent location for research and study.